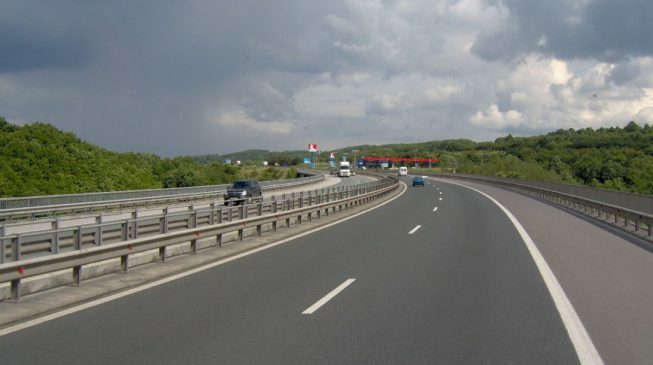 ECOWAS seeks additional funding for $2bn Abidjan-Lagos highway - AutoReportNG "AutoReportNG-The No 1 Car Blog In Nigeria That You Can Trust - AutoReportNG"
The Economic Community of West African States (ECOWAS) is seeking additional funds for constructing the $2 billion Lagos-Abidjan highway project. Jeane-Claude Brou, president of the ECOWAS commission, made this known during a signing ceremony between ECOWAS and the African Development Bank (AfDB) in Abuja on Monday. ECOWAS and AfDB signed a $22.7 million agreement for the cross country road project to foster trade relations and investment among member states. The agreement signed included feasibility, environmental, socio-economic impact and detailed engineering design studies for the 1080 kilometre, six-lane road project. Brou said the signing was a “requirement for the disbursement of grant funds from the European Union (EU) from its African Investment Facility (AfIF)” for the project. The EU contributed €9.13m while AfDB contributed $11.06m, making a total of $22.72m for the project. Brou said the project was necessary because despite progress in ECOWAS performance, infrastructure still remained a challenge, adding that the regional strategic framework for ECOWAS had prioritised development of key regional infrastructure to foster a competitive business environment. “Considering the importance placed on the Abidjan-Lagos corridor project, we encourage the AfDB to consider other internal sources such as the New Partnership for African Development, Regional Public Goods envelope, and the Fund for African Private Sector Assistance for additional funds to cover the studies,” he said. Akinwumi Adesina, AfDB president, who was represented by Ebirima Faal, a senior director at the AfDB, said west Africa needed larger and deeper market integration to justify and promote the industrialisation. He said the project would undertake all the needed technical studies for the effective implementation, operations and economic development of a six-lane (three-lane dual) highway corridor. The AfDB director said the corridor would traverse primarily between Abidjan, Cote d’Ivoire and Lagos; and between Lome, Togo and Cotonou, Republic of Benin.